Sanju Box Office: After waiting for so long, the Sanjay Dutt biopic titled Sanju has finally hit the theatres and it has passed with flying colours at the box office. Director Rajkumar Hirani, who has given us gems like PK, Munnabhai MBBS, 3 Idiots to name a few, yet again has proved why he is the one of its kind in the showbiz. Hirani’s direction and storytelling has just left everyone mesmerised. Ranbir Kapoor’s stellar performance and his uncanny Sanjay Dutt look have become the main highlight of the film. The first day collections are here and Sanju has already started breaking the records. This Ranbir Kapoor starrer has collected a whopping amount of 34.75 crores on its first day becoming the highest opener of 2018. Not only Ranbir Kapoor but also Rajkumar Hirani have never got this kind of opening at the box office. Hirani’s last films did well at the box office but they didn’t had such opening on the first day. His 2014 release PK which was a super hit at the box office had collected 26.63 crores on its opening day, which had a lifetime business of 339.50 crores. Whereas his another flick 3 Idiots which was loved the audiences went on to earn in the range of 14 crores on its first day. So Sanju has officially become Hirani’s highest opener at the box office. Apart from Ranbir, Sanju also stars Paresh Rawal, Manisha Koirala, Dia Mirza, Vicky Kaushal, Anushka Sharma, Sonam Kapoor, Boman Irani and Mahesh Manjrekar. 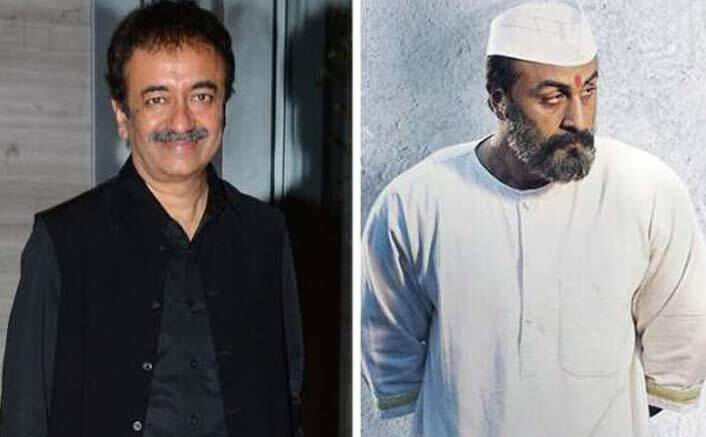 Directed by Rajkumar Hirani and produced by Vidhu Vinod Chopra, Sanju has emerged as the 3rd film of 2018 to have highest occupancy after Race 3 and Baaghi 2. Sanju is being loved by everyone and the advance booking is skyrocketing. In most of the theatres, the shows are sold out which means the film is going to enjoy a healthy weekend raking in a good and juicy amount at the box office. The post Sanju Box Office: 34.75 Crores VS Rajkumar Hirani’s Highest Day 1 Grossers! appeared first on Koimoi.